"Thanks for Marlene for being such a knowledgeable resource, wonderful person, and strong advocate for us in our home search. As a new family to the Chicago area, Marlene remained patient with us as we looked in many different areas before deciding where we wanted to live. During the contracting and negotiating phase, Marlene was reasonable in her advice and remained an advocate for us during the process. While we feel we've bought our forever home, Marlene is a joy to work with and future clients of hers are lucky to have her as a real estate resource." "Marlene Leon and @properties guided us through the process of marketing, showing, and selling our townhouse. Marlene did this superbly; her realtor experience provided a wealth of expertise and guidance necessary to sell our home. I would certainly recommend Marlene and @properties to anyone selling or buying a home in the Chicagoland area! Great Job Marlene!" "Marlene was always prompt and responsive, making sure everything was in order. She was great with the staging, which helped me get an offer from the first person to view the property. Given that I had to relocate on short notice, she handled the final preparations for the buyer well while I was out-of-state, such as the removal of the furniture. She's a great real estate agent and she'll make your buying or selling experience as smooth as possible while keeping your best interests in mind." "Marlene was amazing - knowledgeable, persistent, and timely. We were selling from afar and Marlene's management of all aspects of the sale was truly appreciated!" "I have been dealing with Marlene for 8 years and never been disappointedShe is professional in all ways, and very personable.She rented my property three times over the years and I recently sold.She has always been delightful to work with, not like mostbusiness deals today." "Marlene recently helped us sell our home in Evanston, and she was fantastic to work with. From the very beginning, we were impressed with Marlene's knowledge and professionalism. She skillfully guided us through the entire selling and closing process, providing helpful feedback, thoughtful comments, and prompt updates every step of the way.Â Marlene's marketing background was a definite plus. She knows how to play up a house's strongest points and takes the time to ensure that your house is ready for every single viewing.We were on a short timeframe and had to move before the closing date. Marlene went the extra mile and helped ensure that everything was ready for the walkthrough with the buyers. Our house is sold, and we couldn't be happier with the excellent help we got from Marlene. 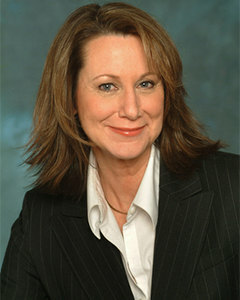 If you're thinking about selling your home in Evanston, we highly recommend you give her a call." "Marlene was fantastic! As first time home buyers, we didn't really know a lot about the process and the little things in each property that were good and what were red flags. We felt very comfortable with Marlene and her expertise regarding those things. And once we finally decided on a house, Marlene made the process incredibly easy, recommending people to help through the process, and thus we had a very easy closing! We were thrilled with Marlene, and will definitely recommend her to all of our friends looking to buy a property!!" "Marlene is one of the most professional people I've ever worked with. She is also a very pleasant and bright individual to be around. Marlene worked smart and was persistent at every, sometimes difficult, point of the process of selling our house. She was patient with all the parties and their requests and questions. Marlene went above and beyond!!! Thank you, Marlene!!!" "My husband and I have worked with Marlene twice now. First time was in 2011 when we were moving from San Diego for a job relocation. Initially much of our contact was via email & phone. She would provide a list of houses meeting our requirements, we'd review them online. When Brooks was in town they would see the list. We had very specific ideas on what we wanted, and yet didn't know the area relying heavily on her guidance. She truly continued diligently working until she found us the perfect house.3 years later, 2014, we were up for another job relocation and of course we had Marlene help us sell the house. She put together a detailed & thorough report on the comparables in our neighborhood helped us come to a good selling price. Her marketing materials were top notch as well. We sold our house in 10 days! We trust her so completely we shared with her the house we were buying in MN to get her feedback. She's our go-to Realtor for when we return to Evanston in the, hopefully not too distant future. We 110% recommend her, and honestly can't wait to work with her again!" "Everything was a smooth as could be thank you"
"Marlene was instrumental in selling my father's condominium six years ago for a very good price. Another condo, nearly identical, in the same small building that went on the market at the same time, was still on the market three years later, and finally sold a a fraction of what my father's sold for. I'm convinced that without Marlene's creative approach to selling my father's property, we, too, would still be trying to sell it today, and at a much lower price. I highly recommend Marlene to anyone who wants to get the best price for their property"
"There are not enough good things that we can say about Marlene! She helped us find our first home as a married couple. She was extremely knowledgable about the areas that we were looking in and was able to help us narrow down our search after getting to know our likes and dislikes. This was my first home buying experience while my husband had bought properties in the past. She was able to answer my newbie questions as well as all of my husbands more in depth questions. She used her experience in the industry to help us understand the ins and outs of older homes and how to maintain them. She was always able to point out things that we may have missed the first time through homes. She was always very responsive to us even in the evenings and on the weekends. Every house we wanted to see, she got us in to even if it took a couple tries to set up the showings. Once we found our house she was able to help guide us through the entire process from making the right offer to asking the right requests after the inspection had been performed. Too bad we can't buy houses every year as it was truly an excellent experience working with Marlene."